Size: 8.7" x 7.5" x 2.5"
Don't miss the TI-2800 Paperless Printer, the first product in a long line. 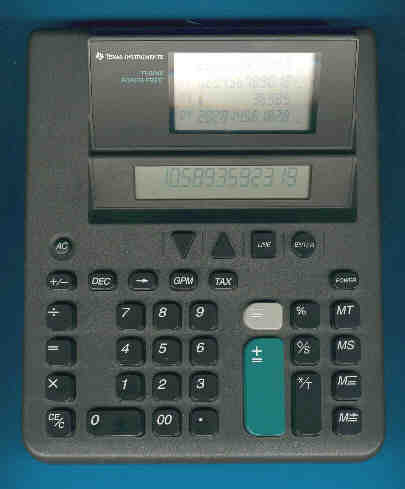 The TI-5048 is featured in the Texas Instruments Incorporated sales catalog CL-1233 dated 1994. © Joerg Woerner, September 28, 2002. No reprints without written permission.